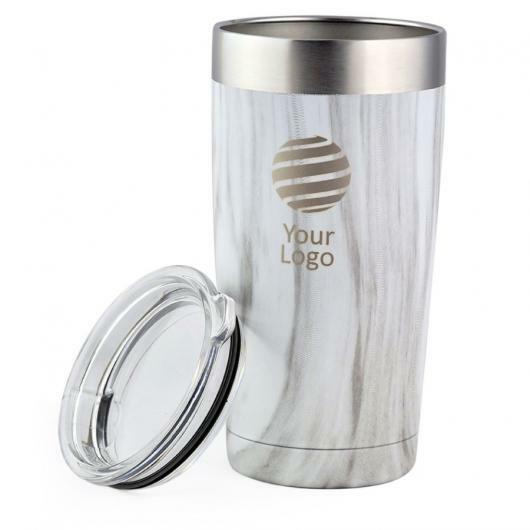 Enhance your logo with some of these unique travel mugs. 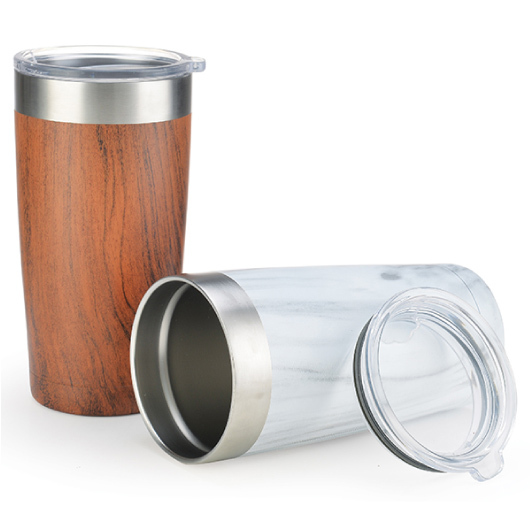 For a style that's a little different and stands out try the premium vacuum travel mug. 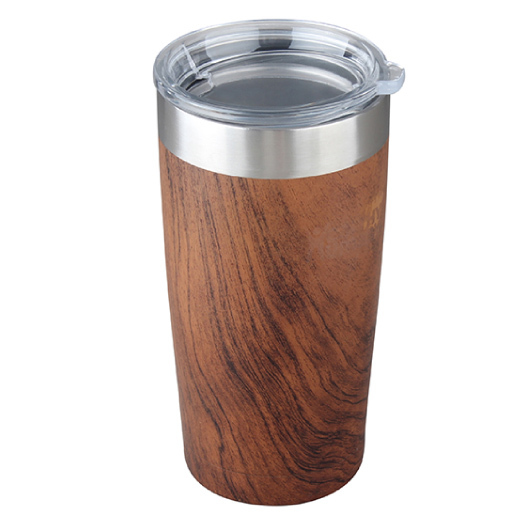 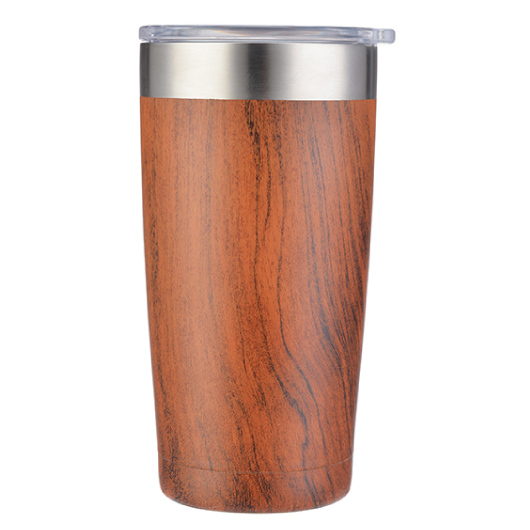 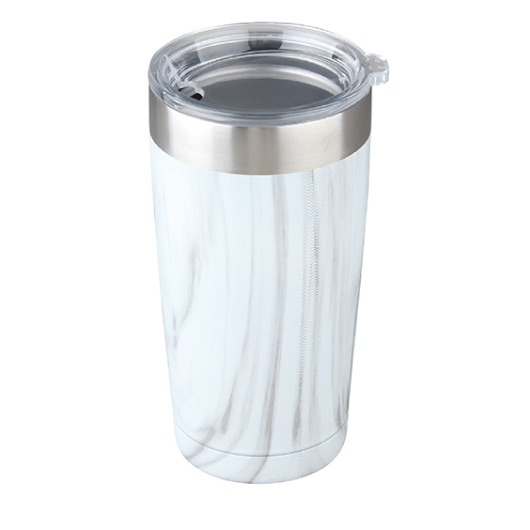 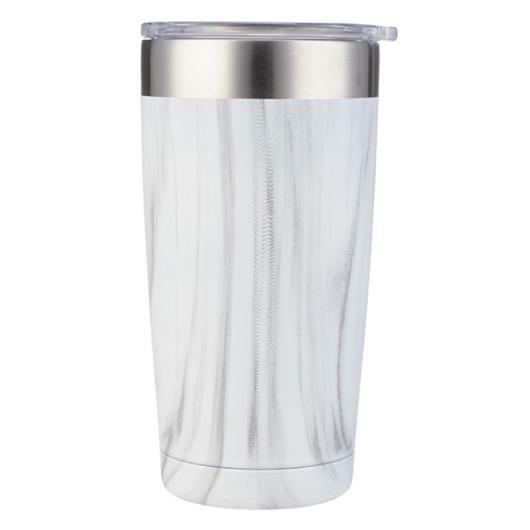 It features a BPA free stainless steel build with copper plated vacuum insulation that will keep your drink hot for an extended period of time. They are available in either a wood or marble pattern and include a clear tritan lid.